Browse through a growing selection of Arts and Music websites from a variety of museums, schools and companies around the globe. 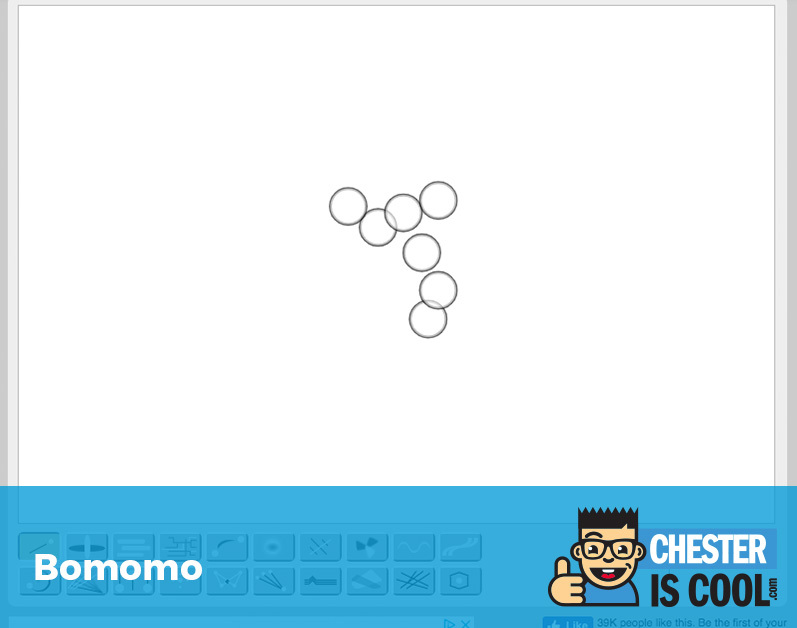 Bomomo – Children can make abstract creations using bubbles and other elements from the control panel. NGA Kids – Helps students develop interpretive and analytical skills through interactive art lessons. 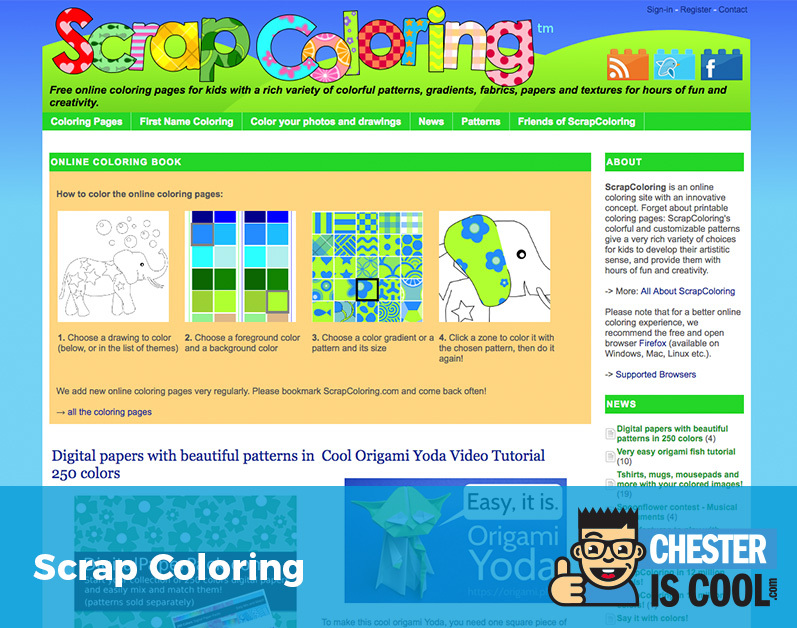 Scrap Coloring – Reconfigure shapes, patterns, and templates with this digital coloring tool. 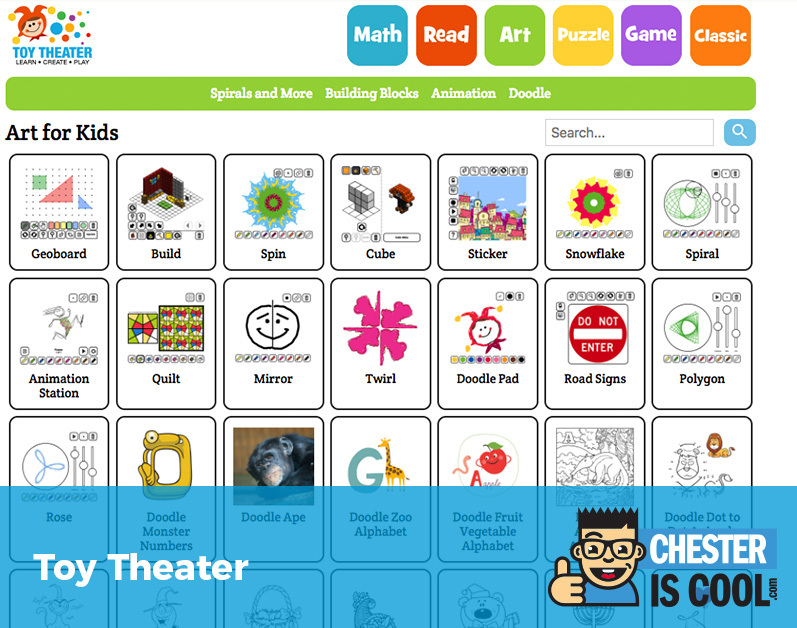 Toy Theater – Art activities including building with colored blocks, doodling, designing, animation, and painting.